Birmingham is better off than it was five years ago, in terms of unemployment. THE letter in The Bugle (January 27 edition) from Dawn Woodman about her dad who was a milkman who worked for Handsworth Dairies of Island Road got my memory going back a long, long time. IT IS with personal sadness that I learned of the unexpected passing of Walsall-born Mick Walker, peacefully in his sleep on Thursday February 25. Council joins forces with two charities to help improve the lives of homeless people. WORLD renowned artist, Willard Wigan MBE, has revealed his latest micro-sculpture, Slade legend Noddy Holder. It’s hard to believe that Flatpack Film Festival is ten. Potholes in carriageway 100m or so before junction with A3400. A group of students from from Birmingham City University are hosting a lip sync battle to raise money for charity. A motorist who tried blaming an innocent man for his speeding offences after getting hold of his lost driving licence has been jailed for lying to police. 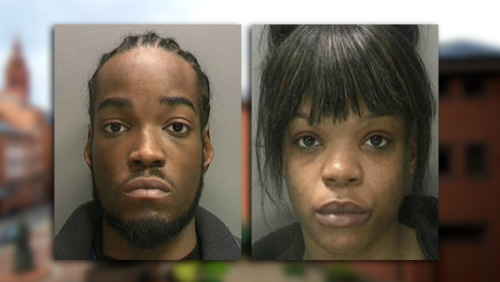 Couple who committed a spate of burglaries over a two year period have been jailed. A sofa and other bits have been dumped on the pavement outside 83, they were previously in the front garden for a couple of months. Police investigating reports of shots being fired in Handsworth earlier this month have today (29 February) arrested a man on suspicion of firearms offences. Police are concerned for the welfare of a 12-year-old girl from Birmingham who has been missing since yesterday. I’ve served my country, fought in three warzones and all I want is help from my country so my son can get better. Birmingham City Council working with partners to feed the homeless Birmingham City Council has joined forces with two city charities to help improve the lives of hundreds of homeless people. A 22 year-old man has been arrested by armed officers in Birmingham over the weekend. Officers are appealing for information following a distraction-style burglary in Nechells.